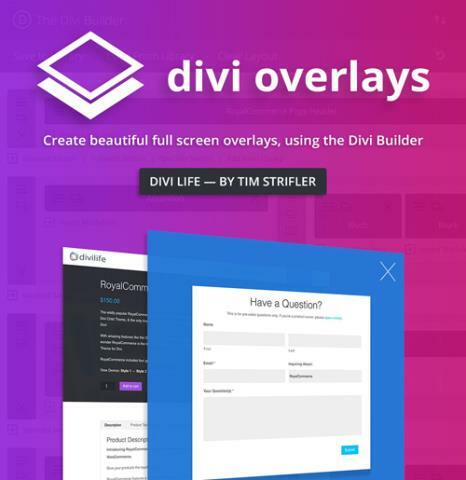 Divi Overlays is a brand new way to create beautiful full screen overlays, popups, or modals using the Divi Builder. Divi Overlays takes advantage of the power and flexibility of the�Divi Builder�which gives you the ability to�easily add any type of content imaginable to an overlay, then trigger it with anything on the page: text links, images, Divi buttons, etc. 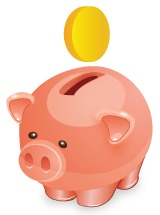 Or use an automatic trigger such as timed delay, scroll delay, or exit intent!